We’ve posted the 2018 Arizona Diamondbacks spring training broadcast schedule, with 12 games broadcast on radio, 10 games on FOX Sports Arizona/FOX Sports Arizona Plus and seven games on webcasts. 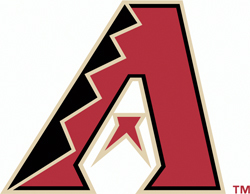 We’ve added the games to our Arizona Diamondbacks spring training schedule, which you can view here. Twelve games will be broadcast on Arizona Sports 98.7 FM and ESPN 620 AM, 10 games on FOX Sports Arizona or FOX Sports Arizona Plus, and seven games on webcast throughout Spring Training. In addition, all games televised on FOX Sports Arizona (FSAZ) or FOX Sports Arizona Plus (FSAZ+) will also be streamed on the FOX Sports GO app. February 28 vs. Colorado Rockies at 1:10 p.m.
March 1 vs. Milwaukee Brewers at 1:10 p.m.
March 6 vs. L.A. Angels of Anaheim at 1:10 p.m.
March 14 vs. Cincinnati Reds at 1:10 p.m.
March 15 @ Chicago Cubs at 1:05 p.m.
March 21 vs. San Francisco Giants at 6:40 p.m.
March 22 vs. Chicago White Sox at 6:40 p.m. In addition, the D-backs exhibition games on March 26 and 27 will be broadcast in Spanish on Univision Radio KHOV 105.1 FM.